Over the past two and a half years, Canada has been developing, from scratch, a men's track endurance program, headed by Ian Melvin. 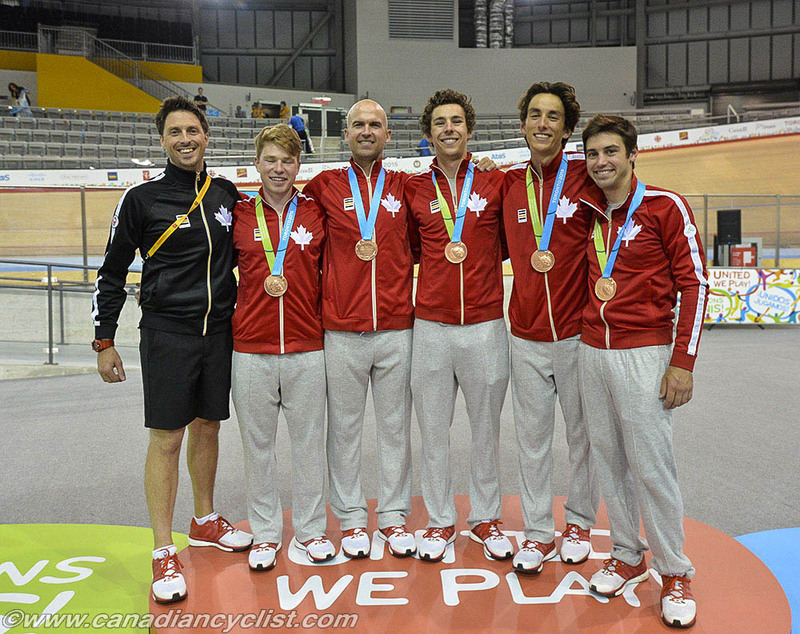 The program, despite having no history, has already begun to show success in the Team Pursuit, with a bronze medal at last summer's Pan Am Games, fourth place at the 2014 Commonwealth Games and, during this past Track World Cup season, a top-10 at the second round (ninth in Cambridge, New Zealand). Remi Pelletier-Roy also took a bronze medal at the Commonwealth Games. 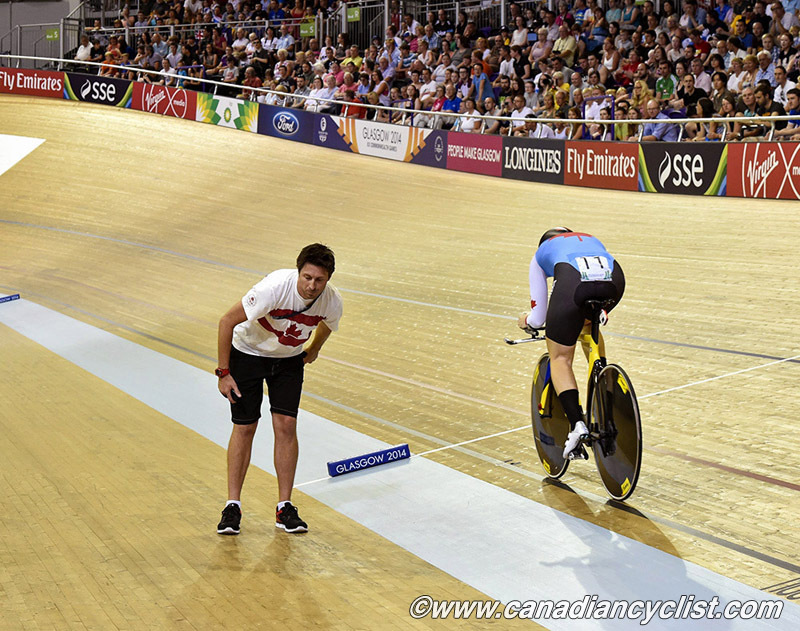 Melvin came to Canada from Australia, where he was head coach with the Queensland Academy of Sport, as well as working with the Australian road team and British Cycling. We spoke with Ian before the squad headed to California for final preparations for the Track World Championships at the beginning of next month, in London, England. Canadian Cyclist: Now that you have finished the 2015-16 World Cup and are gearing up for the Worlds, what is your feeling about where the program is? Ian Melvin: I think the program is progressing at a steady rate. As we finish the [World Cup] season, I'm really happy with the growth we are seeing. Last year we finished the World Cup in 17th place, this season we are finishing in 12th place. We are certainly seeing a lot more consistency in our performances and our times are becoming a lot more competitive. Slowly but surely, I can see us chipping away at some of the teams that have been in front of us. We are now getting ahead of countries like Colombia and Argentina, who are the main challengers in the Americas. We are within a second of countries like France and China now. There are countries in front of us still, and we've put targets on their backs, and we want to try and step over them in the next 12 months or so. CC: Is there still a chance that the team will qualify for Rio? IM: This program has always been very much focussed on Tokyo; 2020. If Rio happened, it would have been fantastic, but the reality is, right now it is not mathematically impossible, but just applying some common sense ... the reality is that it is highly unlikely. That's something that within the team we've talked about for the last 12 months. I've been very open with all the boys, and they all understood where we were in the pecking order. So we are just approaching each event one at a time. This past year our focus has been the Pan Ams and then the World Cup season. Rio was always a case of 'if it happens, fantastic', but we are all keeping our eyes on four years time. CC: You have the primary squad and the NextGen program; so are you pretty happy with the structure, or are there still some gaps to fill? IM: I think for the most part, they are one and the same. 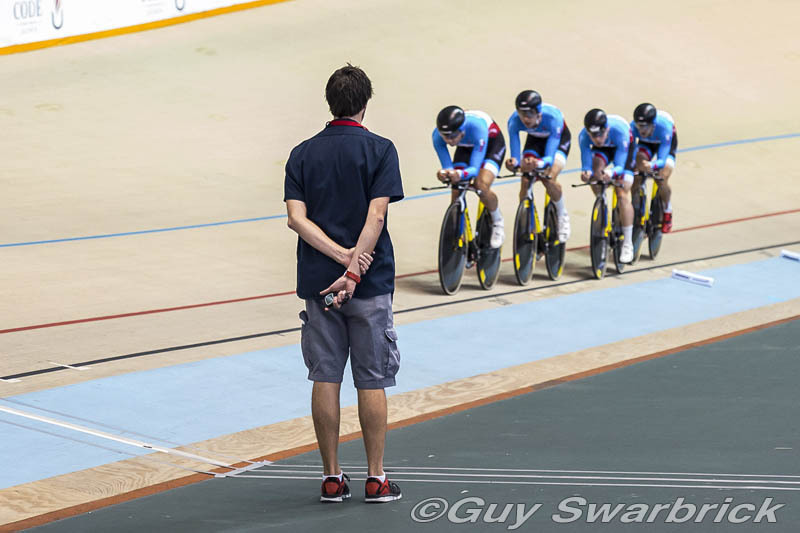 The NextGen program is a Men's Endurance Track program [not just Team Pursuit]. It's not that they are necessarily identified as young athletes, it's more about the program being where it is, and still being a Next Generation type of program. It still encompasses the likes of Remi [Pelletier-Roy] and Ed [Veal]. The challenge is about trying to - and it's been a challenge from Day 1 - develop the talent pool that enables us to still remain competitive when we have an injury or we have an illness. This year, Remi broke his collarbone around the first World Cup, and [Sean] MacKinnon was sick for the second World Cup, which really tested the depth of our squad, and while we survived, I'm still aware that we need another couple of riders in the program. You don't go down to Walmart and buy one off the shelf; they take a long time to develop. The amount of technical work that goes into these boys is really quite significant. So it's going to take another couple of years, but the whole program is moving to a point where we are becoming quite a strong, resolute unit. CC: So, Worlds is next. What will be an acceptable result for you, in terms of where the program is? IM: The goal for this whole season has been a top-10 performance, at a World Cup or the world championships. We achieved that in New Zealand, so I think, for ourselves, anything else from this point on is really a bonus. I know the time that I think we can ride [secret for competitive reasons], but it comes down to a lot of variabilities on the day. I believe, in an ideal world, we can ride top-10 at Worlds, but it just comes down to making sure that all the T's are crossed and the I's are dotted on race day. CC: Remi didn't have a strong Omnium in Hong Kong (World Cup #3), but what is the status for Canada in that event going forward to Rio? IM: It is very much on the table. It is out of our hands at this point, because we have the Asian Championships at the end of this month, which will have a large impact on whether or not we achieve that qualification. But we are very much in the picture still for one of the final spots. But certainly his performances in Hong Kong highlight the ongoing problems that Canada has had with bunch races. The young riders emerging through our pathway really struggle with that side of the Omnium events, so moving forward towards Tokyo it's something we have to address with a lot more forethought. At Worlds Remi just has to treat that final [qualifying] race as a standalone race and see where things finish up at the end of the competition. We just have to go in there and try and maximize our performance, achieve the best result possible, and what will be will be.